Staged by the Local Studies Volunteers group, the exhibition covers Loughborough’s Fairs and Markets from the granting of the first charter in the 13th century to the present day. 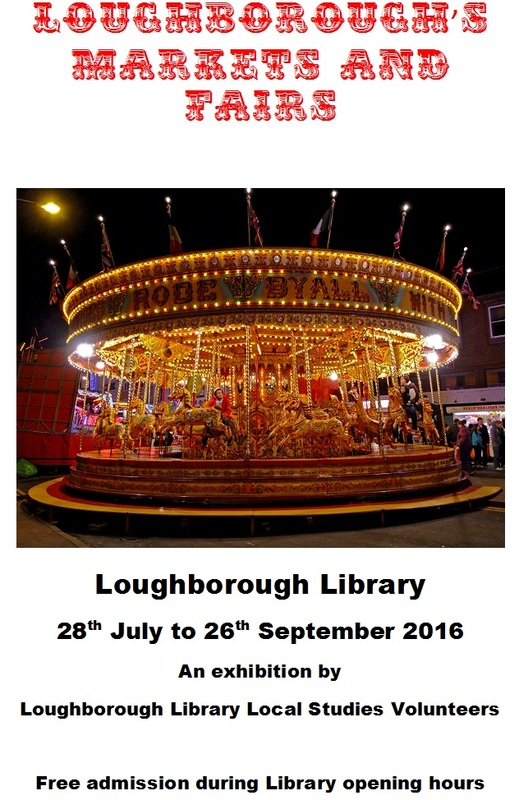 Venue: Loughborough Library, Granby Street, Loughborough, Leics, LE11 3DZ. 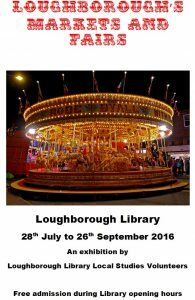 Free admission during Library opening times. Further information can be found here.